Got a home with outdated mirrored closet doors? You don’t have to live with them, even if you don’t have the funds to replace them. A client once hired me to revamp her master closet and dressing area, in preparation for putting her home on the market. She was a savvy homeowner who planned to invest in a few key updates in order to make her property (which was built in the early 70’s) as appealing as possible to buyers. This area of her home had several great features. 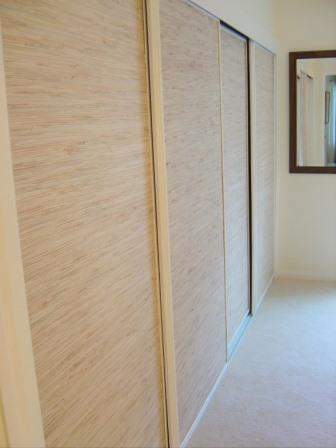 But one feature that would NOT appeal to buyers was a set of floor-to-ceiling mirrored closet doors. In order to stage this space properly for resale, those doors had to go. 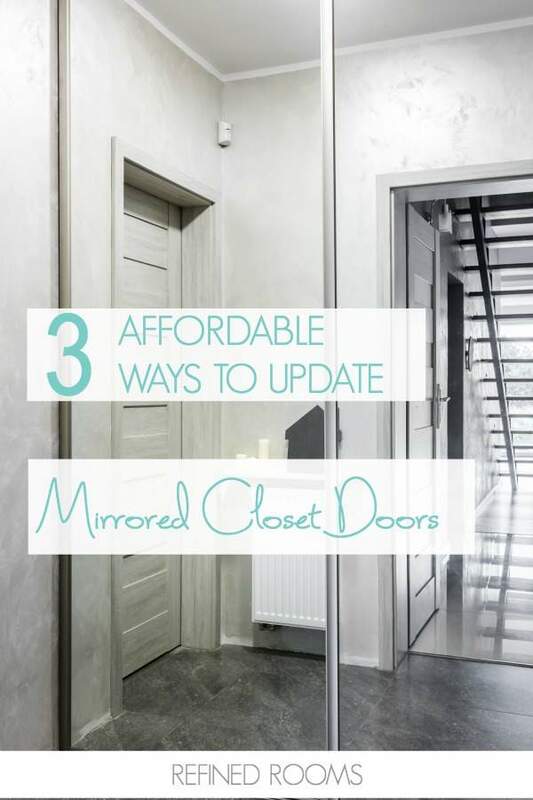 Since her budget would not allow for new doors, we explored several options for dealing with outdated mirrored closet doors. One solution was to utilize some type of wall covering to transform the doors. Don’t you love the look of this gorgeous textured grass cloth wall covering? Like this post? 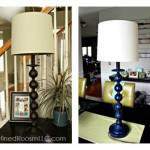 Find many more redesign, decorating and home improvement ideas in my decorating gallery! 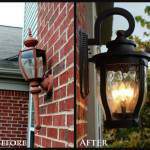 Got plans to sell your home? 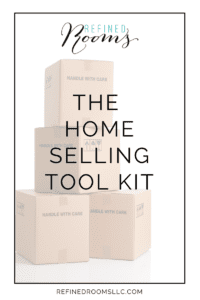 I've created The Home Selling Tool Kit, a free resource for helping you sell your home fast and for top dollar. Click on the image below to learn more about it and to download the Tool Kit for yourself! hi. loved the ideas the changing mirrored closet doors. 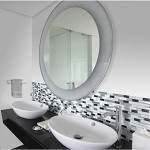 i’m thinking of buying older 1980 manufactured home that has large full wall of mirrored closet doors. 4 of them. the opaque glass idea. how is that done? thank you so much. Opaque glass – you can use a variety of privacy window film materials. Glad you found the ideas useful! I really like the idea of using opaque glass to spice up the look of your closet mirrors. I’ve thought about a lot of ways to re-do my closet, but that was one of the best ideas that I’ve seen. Thanks for all of your tips on how to spruce up a closet – I really appreciated it. Thanks for stopping by Tobias!